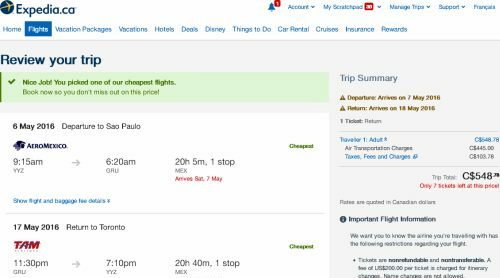 Just when I thought that flight prices from Toronto to Brazil surely could not fall any lower, they just keep dropping to new record lows. 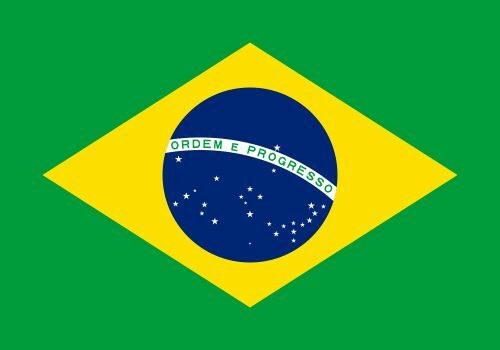 To Rio de Janeiro, Brazil - One lonely date combination between January 2016 and February 2016. For longer trips, you can try mixing and matching the departure and return dates above. NOTE: Canadians require a visa to visit Brazil. It costs $95 and can take a while to obtain. Details on how to apply for and obtain one can be found here. Update #1: Nov 23 @ 7:26 AM EST - Certain date combinations are showing up for $533 CAD roundtrip including taxes. Try mixing and matching the departure and return dates for longer trips. Where to stay in Sao Paulo or Rio de Janeiro? The following AirBNB links will lead you to some great deals on places to stay in Sao Paulo or Rio de Janeiro for under $70 CAD/night for 2 people. 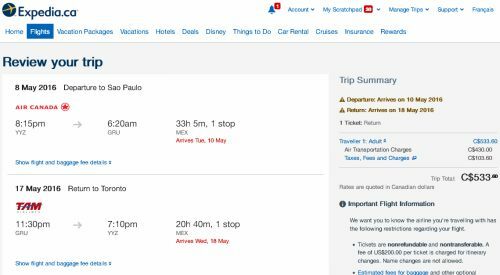 toronto, yyz, flight deals, rio de janeiro, brazil, gig, sao paulo, gru, tam airlines, aeromexico, sao and rio.